President Trump talked directly to Americans at his rally… he covered a wide range of topics including healthcare, jobs, regulations and his refugee ban that is being blocked by liberal judges. And of course, he nailed the press for fake news. The event was packed and the people loved it. If I were a leftist, I’d be seriously worried about 2020. Trump seems to only get more and more popular. 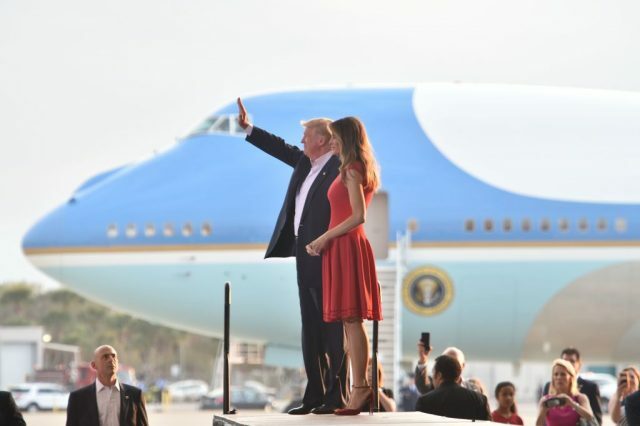 President Trump is only a month into his 4 (8) year stunt in the White House and journeyed to Melbourne, Florida to host a campaign rally. He spoke about health care laws, dissed a few news media outlets (YOU’RE FAKE NEWS), and mentioned the Trump Wall. Trump also spoke of ways to reduce regulations in order to generate new jobs and do something about the immigration issue that was idiotically blocked in the courts by a liberal judge. The best part about the rally was hearing Melania Trump start with the Lord’s Prayer. Whether you believe in religions or not, prayer unites people and is a moment of peaceful gratitude to be thankful for who we are, what we have, and reminds us to keep making America great again. Melania wore a simple, graceful dress and intoned the prayer with reverence and sincerity. It was a uniting moment and deeply moving. Saying a prayer before Trump’s speech touched the hearts of many Christians out there and set the stage for a very emotional rally. 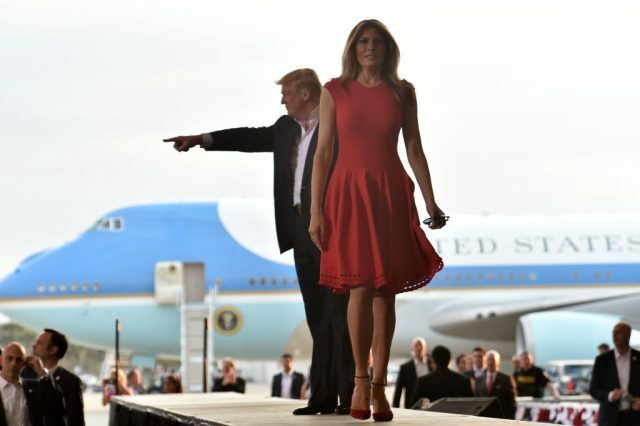 Unlike Michelle Obama who seemed to abhor religion and anything American, Melania embodies the American spirit since she is an immigrant herself and very outspoken in her love for our country. 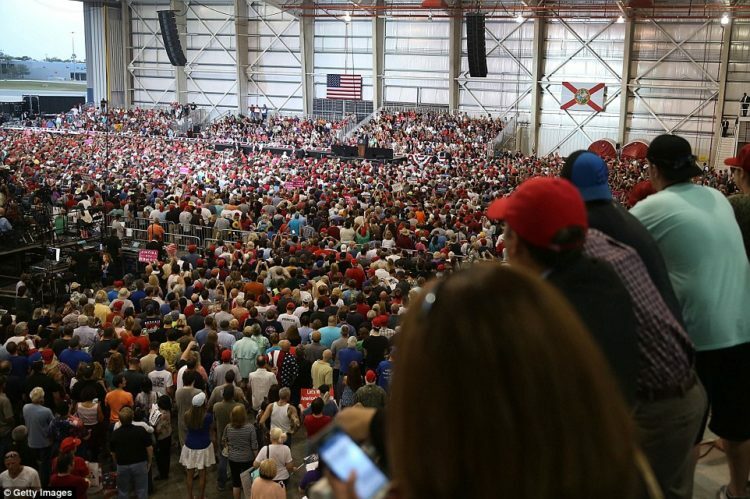 Tony Ledbetter, the coordinator of President Donald Trump’s campaign rally Saturday in Melbourne, FL, said the event would be the president’s “first re-election rally.” 9,000 people showed up for this rally and that should just make the left wet themselves in fear. I call it a resurgence of American patriotism and hope. Not Obama’s fake kind of hope, but real hope that jobs are coming back and our nation is once again on the right track and not careening off a cliff into Marxist oblivion. By any measure, the rally was a fantastic success and of course, the media ridiculed and downplayed it. Which is why they are hated more and more and why President Trump thumps them at every opportunity.